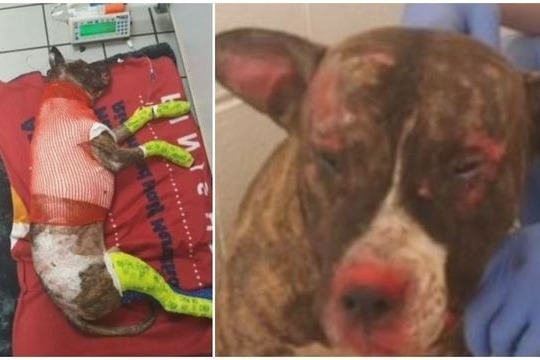 This unknown dog was brought to a city park, tied to a metal pole , doused with an accelerant, and set on fire. Luckily there is a fire department close by that was able to put the fire out, but the damage is severe and will cost several dollars in veterinarian bills. The dog has a long haul to heal ahead of him. The person responsible is still at large and no one has come forward. Please donate what you can to help this poor animal. I know "Tommie" is just an animal, however they trust and love unconditionally. Donations will be given to the RACC Foundation and will be strictly used to help "Tommie." Even a dollar can help. Thank you.